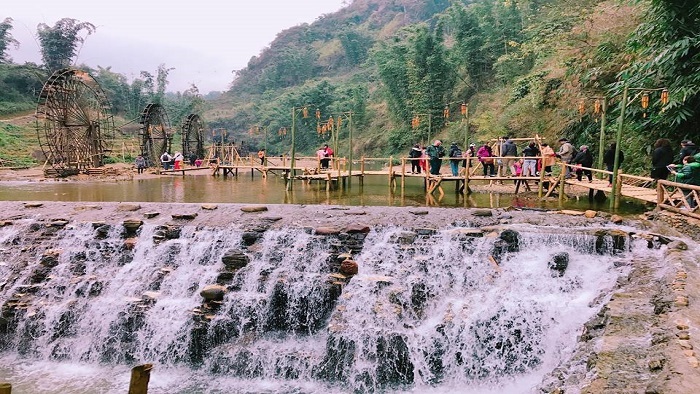 Among many beautiful attractions in Sapa, Cat Cat village is an amazing place where tourists can freely admire the gorgeous landscape and explore the profound culture of H’mong people. Sapa is a beautiful town in the northwest of Vietnam. 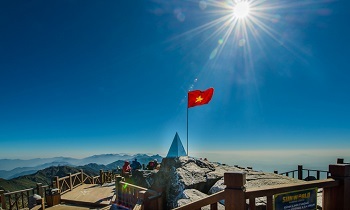 It is located at the altitude of nearly 1.000 meters above the sea level in the majestic Hoang Lien Son mountain range, Lao Cai province. 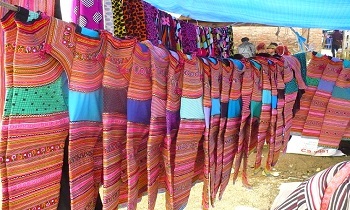 With the temperate climate all year round, it is considered the tiny Paris in the Indochina peninsula, so from the period of French colonization in the 19th century, French people built this town from a small ethnic village into a relaxing place with the villas to escape the heat of Vietnam summer. 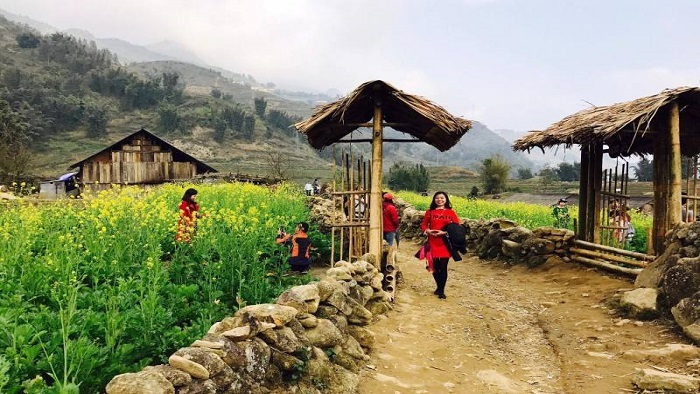 Now, Sapa is an attractive tourist town in Vietnam attracting a lot of tourists with many tourist attractions, among them is Cat Cat village. 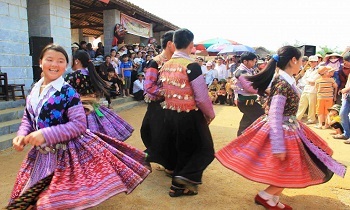 Cat Cat cultural village was formed in 19th century by the gathering of some families belonging to some ethnic groups living in mountainous areas of northern Vietnam, especially Black H’Mong. 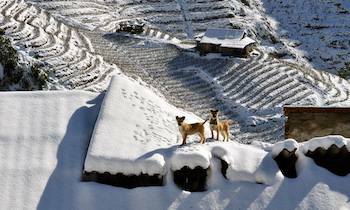 They lived next to each other along the mountain side and cultivated surrounding their home. 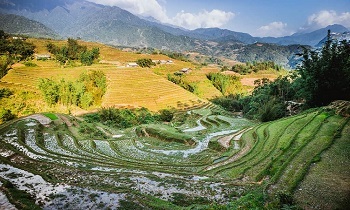 Rice and corn were grown in terraced fields, while traditional handicrafts such as twisting flax and weaving fabric have been well-kept. 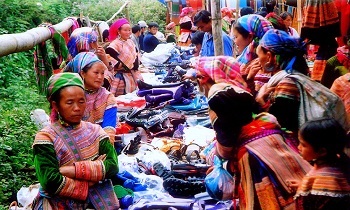 Through times, Cat Cat Village has transferred to one appealing feature of Sapa’s tourism. 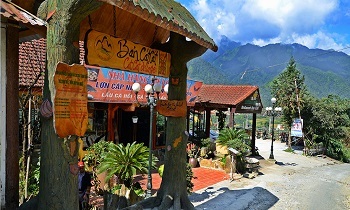 Sapa Trekking Homestay, a trekking Sapa tour operator is happy to offer you Sapa tours, Sapa train from Hanoi, and the best Sapa homestay tours so that you can visit Cat Cat village. 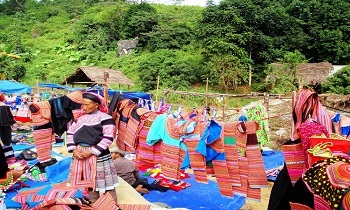 The architecture of Cat Cat village is intact in H'mong traditional architecture with wood houses and stone fences surrounded. Each house is set up intentionally that tourists will have the best view and have the most beautiful background to take photos. The original architecture of H’Mong people is interesting as well. Their house typically contains three rooms with three doors and po mu wood roof, while the walls’ material is sawn timber. There are other indispensable parts of the house such as altar, kitchen, places for keeping food and sleeping, etc. 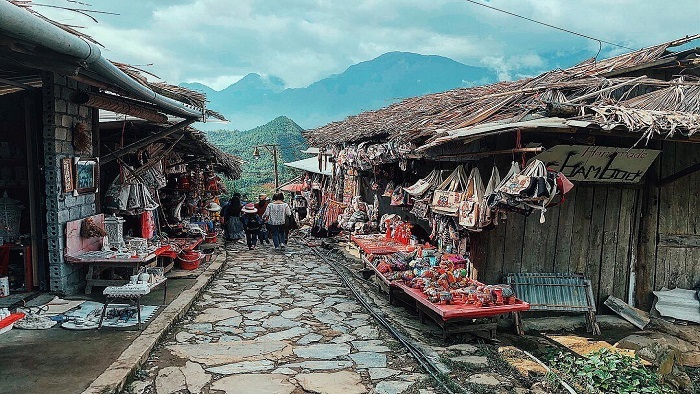 Cat Cat village is a must-visit destination that you should not ignore in your Sapa trip. 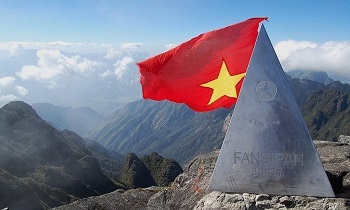 If you want to know more about Sapa destinations or Sapa trekking tips, contact us. Thank you!